Cincinnati Bell Archives · Stop the Cap! 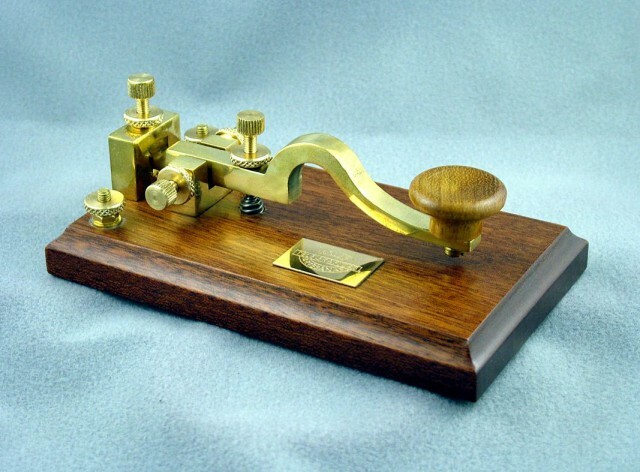 The first telegram in the United States was sent on Jan. 11, 1838 using the newly developed “Morse Code” system introduced by Samuel Morse. The message was sent unceremoniously across two miles of wire strung across the sprawling Speedwell Ironworks outside of Morristown, N.J. But the experiment didn’t attract much attention until it was repeated in 1844 in Washington, D.C., where members of Congress looked on as the message, “What hath God wrought” successfully traveled from Washington to Baltimore, Md. A decade later, telegraph lines were strung to every major city on the east coast. By 1861, telegraph cables stretched across the territories west of the Mississippi and reached the West Coast, putting the Pony Express out of business. It would be a decade after that before The City and Suburban Telegraph Company, later Cincinnati Bell Telephone, was officially incorporated on July 5, 1873, becoming the first company in the city to offer direct communication between the city’s homes and businesses. Only the wealthiest families could afford a private telegraph line, which cost $300 a year provided you lived no more than a mile from the company’s office. After four years, the company only managed to attract 50 paying customers, mostly business tycoons who relied on the telegraph to stay in contact with the office while at home. Other businesses used telegraphs to connect their different offices. Most employed young men to serve as telegraph operators, translating short written messages into a series of dots and dashes and back again. Telegraph stamps, used to prove pre-payment for telegraph messages. Business was better further east. The story of two men that would change the course of the telegraph and launch a company that remains a household name to this day started in 1838 when banker and real estate entrepreneur Hiram Sibley moved to Rochester, N.Y. 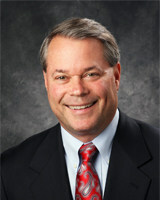 He saw plenty of opportunities in upstate New York and quickly settled in, later becoming elected Monroe County Sheriff. That position soon led to his introduction to Judge Samuel L. Selden, who had the patent rights to the House Telegraph system. Seeing an opportunity, the two embarked on their own telegraph business — the New York State Printing Telegraph Company. It did not take long for them to realize competing against the larger New York, Albany, and Buffalo Telegraph Co., was a financial disaster. The two decided it would be smarter to consolidate existing providers instead of building new networks to compete. The first craze of telecommunications company consolidation was underway. With the assistance of deep pocketed investors in Rochester, Sibley and Selden founded the New York and Mississippi Valley Printing Telegraph Company. The new entity would string some of its own telegraph lines westwards, but more importantly it would focus on acquiring its rivals, especially in areas where fierce competition kept profits low and expectations of monopoly wealth even lower. By 1854, Sibley and Selden were confronted with competitors using two different messaging systems among 13 different companies. Sibley’s solution? Buy them out and unify them with the Morse system, available thanks to a separate acquisition of the Erie & Michigan Telegraph Company. In 1856, the company that had its beginnings in Rochester was renamed the “Western Union Telegraph Company,” which referred to the union of the different telegraph systems of the “western states” of that era (today considered the midwest). New Orleans & Ohio Telegraph Company (covering the southern Mississippi Valley and the Southwest). Much like the cable industry today, these six giants maintained a mutually friendly alliance and never competed for territory. Any remaining independents quickly learned cooperation with these larger systems was essential. But once competition stalled in the telegraph business, so did interest in investing in challenging upgrades. By 1860, as the United States continued its expansion westward and tension grew between the northern and southern states over issues like slavery and self-determination, the administration of President James Buchanan realized having a reliable national telegraph network was critical to the security of the country. Unfortunately for the president, his priorities ran headlong into private company intransigence. Persuading the for-profit companies to expand their networks to connect the west coast seemed impossible. None wanted to risk investor dollars on a telegraph line they believed would be too expensive and difficult to maintain. That same year Congress passed, and President James Buchanan signed, the Pacific Telegraph Act, which authorized the Secretary of the Treasury to seek bids for constructing a transcontinental telegraph line, financed by the federal government. Two of the three bidders eventually dropped out, leaving Hiram Sibley’s Western Union the sole bidder. 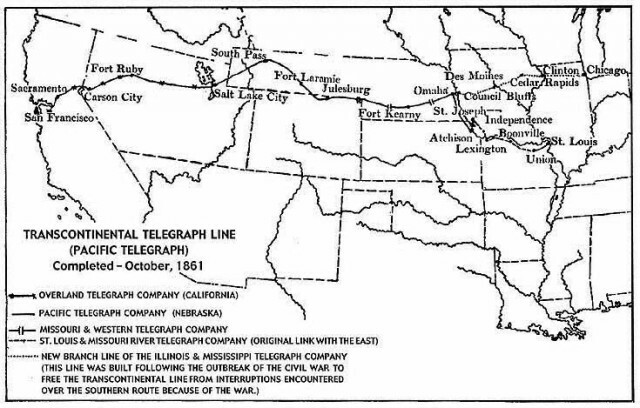 The Pacific Telegraph Act of 1860 resulted in the construction of this telegraph line extending from Nebraska to Carson City, Nev.
To insulate his other business interests from the project, Sibley organized the Pacific Telegraph Company to be responsible for construction of the new telegraph line to the west, starting in Omaha, Neb. Sibley also consolidated several small local companies into the California State Telegraph Company, which in turn launched the Overland Telegraph Company, managing construction of the cable eastward from Carson City, Nev., to Salt Lake City. 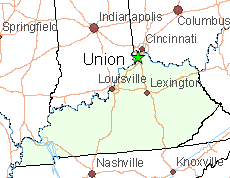 The line was finally completed in October, 1861, seven months after the outbreak of the Civil War. While newly elected president Abraham Lincoln was distracted settling into office starting March 4, 1861, Sibley was quietly preparing to consolidate control over the new taxpayer-funded cross-country cable. After the project was complete, Pacific Telegraph and California State Telegraph were quickly merged into Western Union, making Hiram Sibley the undisputed king of the telegraph industry. Any future ventures rising to challenge Western Union were instead eaten up by acquisition. By 1866, Western Union announced it was moving its company headquarters from Rochester to 145 Broadway in New York City. 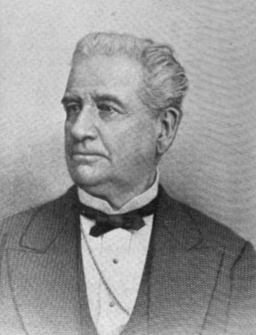 Sibley retired from Western Union in 1869, and went into the seed and nursery business in Rochester and Chicago. He left the company during its most powerful era, having a virtual monopoly on the telegraph business at least a decade before the telephone would arrive on the scene. 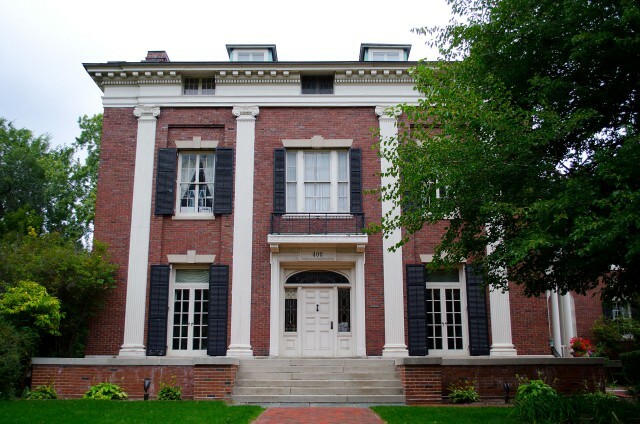 He retired the richest man in Rochester, and his home in the East Avenue Historical District still stands today. He gave generously to charity after retirement and helped incorporate a new college in the Southern Tier of New York called Cornell University. The Hiram Sibley House, constructed in 1868, still stands today at 400 East Avenue, Rochester, N.Y.
As the 1870s arrived, the Civil War was five years finished and huge changes were coming. Although telegraph service was already in place in many eastern seaboard cities, it took longer to arrive in smaller cities in the midwest and southern United States, and it was not too long after that before the telephone followed. In Cincinnati, the telegraph service that began in 1873 was threatened by the arrival of the telephone in 1878 — just five years later. That fall, Cincinnati’s telegraph company signed an agreement with Bell Telephone Company of Boston, the first telephone company in the country. Bell held several patents essential for manufacturing telephones and granted the telegraph company an exclusive contract to sell phone service within a 25-mile radius of the city. Bell Telephone arrived in the era of the Robber Barons, where trusts and monopolies were the product of unfettered capitalism. Bell’s business planners were more than happy following the telegraph industry to the glory days of consolidation and monopolization. By 1879, the Bell Telephonic Exchange was well on its way, up and running on the corner of Fourth and Walnut streets in downtown Cincinnati — the 10th phone exchange in the nation and the first in Ohio. That year, Cincinnati’s first phone book was printed and the young men that operated the telegraph lines were not welcome manning the huge expanse of manual cord boards built inside the central office. City and Suburban believed women served as better ambassadors for the newly emerging telephone company and the concept of “Hello Girls” was born. 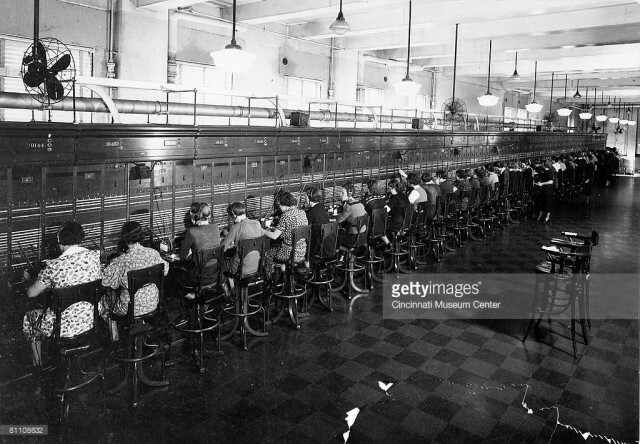 Only later would the Bell System insist on referring to these professional employees as “operators.” In Cincinnati, around two dozen women manned the cord boards in the exchange office during its first year. They were required to memorize the names of all callers and had to quickly learn how to complete calls — a process that involved connecting a patch cable between the caller and the person called on a giant board with a plug for every subscriber. They managed nearly 150,000 completed calls during the first year for over 1,000 customers. The simplicity and directness of the telephone quickly proved a major challenge for the telegraph industry. Western Union saw opportunities investing in telegraph networks overseas to stay ahead of this trend. It also launched a stock ticker service and a money transfer service, allowing people to send money across the country in a matter of hours. Despite the innovation, by 1875, financier Jay Gould had finally managed to assemble a formidable competitor to Western Union — the Atlantic and Pacific Telegraph Company. An overabundance of Western Union stock on the market by 1881 made it possible for Gould to finally launch a successful takeover. A Telex machine in use during the 1970s. Telegraph lines remained in use well into the 20th century, used primarily for business communications, cables, and telegrams which were printed and delivered by messenger. Cincinnati Bell sold telegraph grade data lines for a variety of business applications, including slow speed data services. Even after the Morse code telegraph of the 1800s was long gone, other data services existed well before the arrival of the fax machine and the home computer. 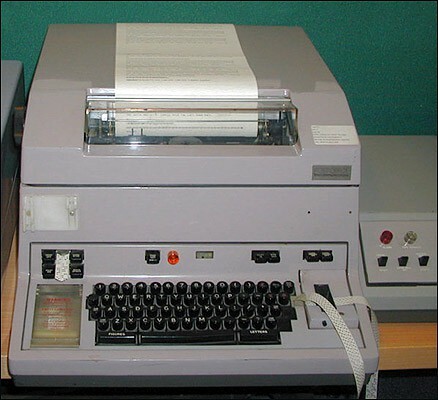 Telex messages were exchanged over a network of “teleprinters” which resembled an oversized manual typewriter. AT&T’s Teletypewriter eXchange (TWX) network was common in large businesses during the late 1960s into the 1970s. One of Cincinnati Bell’s other large customers for slow speed data lines was the military. Cincinnati Bell customers signed up for telegraph grade service received an unconditioned telephone line capable of transmitting at 0-75 baud or 0-150 baud in half-duplex or duplex operation. That was half the data speed of computer modems common in the mid 1980s supporting up to 300 baud — which transmits text at a speed most can read and follow along in real-time. Remarkably, Cincinnati Bell still needs the permission of regulators to drop the Civil War era telegraph service and in discontinuance requests sent to state and federal authorities, it reminded regulators the change will have no impact on the “public convenience and necessity” because there has been no demand for the service for a long time. In fact, Cincinnati Bell has no customers to notify of the impending doom of telegraph grade service, because there have been no customers subscribed to it. Those nostalgic for telegrams might be interested to know another company has risen where Western Union left off. iTelegram promises to bring back the experience of a messenger at your front door, but it’s a costly trip down Memory Lane. A Priority Telegram costs $28.95 + $0.75 per word and is delivered usually within 24 hours, and includes proof of delivery. A “MailGram,” dispatched through the U.S. Mail is a slightly less expensive option, costing $18.95 and includes up to 100 words. It arrives in 3-5 days. Or you could send an e-mail for approximately nothing. While Cincinnati Bell’s request recalls a distant past, Verizon and AT&T are also asking to discontinue services that customers were still using in the 1990s. Verizon wants to drop postpaid calling cards and personal 800 services that customers used to buy from MCI, now a Verizon subsidiary. For its part, AT&T wants to drop operator-assisted services due to almost no customer demand. In many areas, dialing “0” no longer even works to reach one of those Hello Girls… pardon me, I meant operators. If residents in rural Kentucky want Time Warner Cable to offer broadband service, they better be prepared to pay for it. As Time Warner customers consider the company’s latest rate increases, which now include a $10 modem rental fee and an increasingly common $4.99 “Wi-Fi Fee” if you don’t use your own wireless router, there are other customers signing contracts for residential Internet service from Time Warner at prices as high as $410 a month. Jack Prindle lives in the Big Bone community near Union, Ky., — close enough to Cincinnati to be a suburb, but rural enough to be bypassed for broadband. Two dozen of his neighbors live along a nine-tenths of a mile stretch of Big Bone Church Road, which isn’t exactly a priority for Time Warner Cable. The families have spent a decade trying to entice anyone to offer broadband Internet access. Insight Communications (Time Warner’s predecessor) and Cincinnati Bell have never shown much interest. Time Warner Cable, however, has been engaged in a type of cat and mouse game, offering service at ever-escalating prices only to change its mind at the last minute. Rawley points out the FCC’s official National Broadband Map shows the two dozen homes around Prindle are all provided 5-50Mbps broadband service by both Time Warner Cable and Cincinnati Bell, despite the fact neither offers any broadband service to anyone in the vicinity. “Boone County Judge-executive Gary Moore wrote to inform the FCC of this error and failed to get a response,” Prindle noted. What bothers him even more is his tax dollars have paid to subsidize rural Internet service he cannot get at any price. 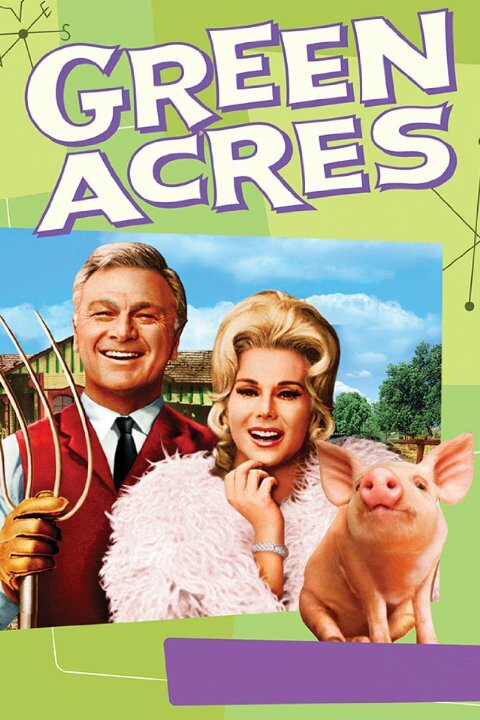 Prindle better have his rabbit ears ready to watch, because at the rate providers are not expanding rural broadband, he will have a long wait before being able to watch that 20/20 episode online. Cincinnati Bell threw in the towel on its wireless mobile business Monday when it decided to sell its wireless spectrum licenses, network, and 340,000 customers for $210 million to its larger rival Verizon Wireless. 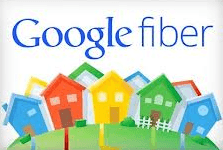 While most analysts say the transaction is the inevitable outcome of a wireless industry now dedicated to consolidation, at least one analyst said the threat of Google Fiber eventually entering the Cincinnati market may have also contributed to the decision to sell. The future of Cincinnati Bell’s wireless division had been questioned for more than a year, ever since the arrival of the company’s newest CEO Ted Torbeck in January 2013. Cincinnati Bell, one of the last independent holdouts of the Bell System breakup that have not been reabsorbed by AT&T or Verizon, had struggled since Torbeck’s predecessor made some bad bets on acquisitions, including an investment in microwave communications provider Broadwing that left the company with more than $2 billion in debt in 2004. Another $526 million acquisition of data center Cyrus One left the company further in debt. Torbeck promised a frank evaluation of Cincinnati Bell’s operations last year and keeping its declining wireless division no longer made sense with Torbeck’s focus on replacing the company’s aging copper wire network with fiber optics. For years, Cincinnati Bell’s biggest competitor has been Time Warner Cable, which has taken away many of its landline customers. Cincinnati Bell’s mobile phone division was created to protect its core business, picking up wireless subscribers as customers dropped their landlines. But the cable company’s bundled service packages made landline service much less expensive than sticking with the phone company, and many wireless customers prefer a national wireless phone company offering better coverage and a wider selection of devices. Rampant wireless industry consolidation has concentrated most of the cell phone market in the hands of AT&T and Verizon Wireless, giving those two companies access to the most advanced and hottest devices while regional carriers made do offering customers less capable smartphones. Its competitors’ march towards 4G LTE network upgrades also challenged Cincinnati Bell with costly capital investments in a 4G HSPA+ network that Torbeck recently decided no longer made economic sense. Cincinnati Bell’s wireless revenue for 2013 was $202 million, a decrease of 17 percent from 2012. The company also lost 58,000 subscribers last year, an unsustainable drop that showed few signs of stopping. Torbeck believes Cincinnati Bell’s best chance for a future lies with with fiber optics, capable of delivering phone service along with a robust broadband and television offering that can effectively compete with Time Warner Cable. Last year, Cincinnati Bell had passed 184,000 homes with fiber optics – a 28 percent market share. But only 52,000 homes subscribed to Fioptics — Cincinnati Bell’s fiber brand. Time Warner Cable had managed to keep many of its wavering 446,000 customers loyal to the cable company with aggressive discounting and customer retention offers. But now that many of those discounts have since expired, Torbeck wants to reach 650,000-700,000 homes in its service area covering southwestern Ohio and northern Kentucky and convince 50% of those customers to switch to fiber optics. Torbeck isn’t interested in limiting his business to just greater Cincinnati either. But financial analysts warned Cincinnati Bell’s enormous debt load limits the company’s potential to invest in expansion. Torbeck’s decision to sell off the company’s wireless unit is another step in reducing that debt and further investing in fiber optics expansion. The company’s unique position as the last remaining independent phone company that still bears the name of the telephone’s inventor may make the company a target for a takeover before Torbeck’s vision is realized. One analyst thinks Cincinnati Bell would be a natural target for Google, which has a recent record of repurposing fiber networks built by other companies as a cost-saving measure to further deploy Google Fiber. “They are a small and cheap company with the infrastructure that Google could use,” said Brian Nichols. “My theory is that Google will buy undervalued companies like Cincy Bell to save on the mounting costs of buildouts, which could top $30 billion,“ Nichols wrote in an email to WCPO-TV. Google did exactly that in Provo, Utah, acquiring struggling iProvo from the city government for $1 in return for agreeing to expand the fiber network to more homes. Cincinnati’s local phone company would sell for considerably more than that, but it would still prove affordable for Google, which has a market value of $361 billion, about 470 times that of Cincinnati Bell. Cincinnati Bell has already spent about $300 million on Fioptics and plans to spend an extra $80 million this year on expansion. Before the network is complete, the phone company is likely to spend as much as $600 million on fiber upgrades. But the payoff has been higher revenue — $100 million last year alone, and a stabilizing business model that has reduced losses from landline cord-cutting. Telecom analyst Nicholas Puncer offers support for the investment, something rare for most Wall Street advisers. But if Google Fiber comes to town, it may not be enough. Cincinnati Bell said it will continue to offer wireless service for customers for the next 8 to 12 months. The company will notify customers with further details regarding transition assistance around the time of the closing, which is expected to be in the second half of 2014. It was not immediately clear on Monday if the sale will impact jobs. Cincinnati Bell Wireless employs about 175 people, including retail store employees. Cincinnati Bell is an island in the middle of a sea of AT&T — offering over 258,000 southwestern Ohio residents and businesses access to a fiber to the home network that has kept customer disconnects down and broadband speeds up. Now the phone company says it is ready for any speed increases on tap from competitor Time Warner Cable and has the capacity to bring gigabit speeds to Cincinnati as soon as enough customers ask. But first it has to expand its footprint. The company has plans to bring Fioptics to 35 percent of Cincinnati by the end of this year, according to Leigh Fox, chief technology officer for Cincinnati Bell. The company has successfully upgraded its fiber network to offer 53,000 more homes a fiber alternative to Time Warner Cable during the first nine months of this year. At least 29 percent of Cincinnati residents have cut Time Warner Cable’s cord at least once, trying the fiber to the home service. Cincinnati Bell wants a 50-70 percent penetration rate in the city, defined as the percentage of customers who have subscribed at least once. Unlike AT&T which confines U-verse to larger population areas, Cincinnati Bell is continuing to invest in traditional ADSL/2+ service for the nearly half million customers throughout its service area that cannot get Fioptics service yet. The company claims the majority of these customers can now buy 10Mbps or faster DSL service, making Cincinnati Bell competitive with Time Warner Cable across the region. 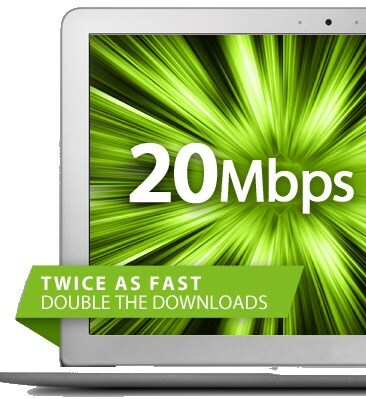 Higher, stable speeds are the phone company’s best defense against DSL disconnects. Most cable broadband growth comes at the expense of telephone company DSL customers leave behind. Currently, the majority of Cincinnati Bell’s “non-techie” fiber customers are satisfied with 20Mbps service. Time Warner Cable is planning to offer up to 100Mbps in the near future, but Fox noted Fioptics has the capability to exceed those speeds ten times over, and said if enough customers want 1Gbps speed, Cincinnati Bell will offer it. Comcast and Time Warner Cable collectively picked up more than 1.5 million new customers in 2011, with most of the growth coming from dissatisfied DSL subscribers seeking better broadband speeds. Leichtman Research Group, Inc. (LRG) found the eighteen largest cable and telephone providers in the US — representing about 93% of the market — acquired 3 million net additional high-speed Internet subscribers in 2011. Annual net broadband additions in 2011 were 88% of the total in 2010. The top broadband providers now account for 78.6 million subscribers — with cable companies having over 44.3 million broadband subscribers, and telephone companies having over 34.3 million subscribers. Despite AT&T’s position as the second largest Internet Service Provider in the country, the company only picked up 117,000 new customers in 2011. In contrast, Time Warner Cable, with 6 million fewer customers, added almost a half-million new broadband subscriptions last year. Frontier Communications, which made broadband a primary target for expansion, has not seen considerable growth either. The company only added just short of 38,000 new broadband customers last year, almost all getting DSL, often at speeds of 1-3Mbps. In the fourth quarter of 2011, cable and telephone providers added 765,000 broadband subscribers — with cable companies accounting for 82% of the broadband additions in the quarter. Americans are increasingly treating broadband as an essential “utility” service, as fundamental as electricity or clean water. The majority of consumers who lack the service either consider it irrelevant in their lives (a factor that increases with the age of the surveyed respondent), cannot obtain service from their provider because of their location, or cannot afford the service.